One of the consequences of my career choice is that I tend to spend a lot of time away from home. Many of my co-workers who suffer from the same condition like to spend their free time and money while they are on the road on alcohol and public buffoonery. There is an all too common mentality among them that holds the rules don’t apply when away from home, and that it’s okay to indulge as long as word doesn’t get back home. I’ve never subscribed to this form of thinking, and as a result I tend to spend my extra time alone hiking trails, visiting parks, and generally trying to get the most out of whatever opportunities the local environment has to offer without burning my bank account and being able to look my wife and kids in the eye when I get home. In Hawaii, I drove the coast and hiked up the ridge that divides the northern and southern halves of Oahu while the others watched bikinis in Waikiki through the lens of a half-empty cocktail. In Germany, I drove through the countryside in Bavaria to visit Dachau and other WWII sites while others got so drunk in the beer halls that they weren’t likely to remember much about the evening when they sobered up. It always seems that, regardless of where I go, there is plenty to do that is interesting and entertaining. At present, I’m stuck in DC for an extended stay. 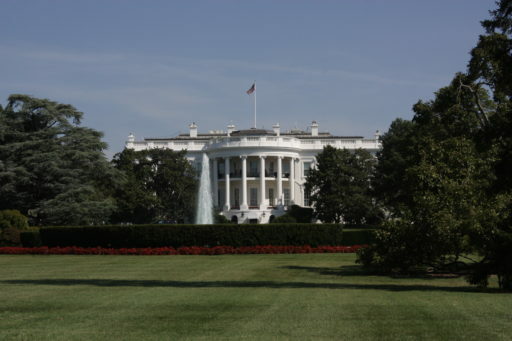 If there is anywhere in the world with a rich array of interesting and mostly free stuff to see and do, DC is it. I think I could spend a full day at each of the Smithsonian museums without even beginning to lose interest. Then there’s the monuments, other museums, civil war battlefields, architecture, Mount Vernon, Monticello, and numerous other places… As many times as I’ve been here, I’ve never run short of things to go and do (with the exception of snowmageddon when EVERYTHING was shut down and I had no choice but to sit in my hotel room and do nothing). While I generally detest working here, and have great issues with the general pace of life, high cost, and types of behaviors considered “normal” here, I do appreciate the area for it’s historical and other tourist attractions. The Lincoln Memorial at the West end of the National Mall. Lincoln was a highly complex person, and the more I learn about him as a person and the decisions he made, the more of an enigma he becomes. 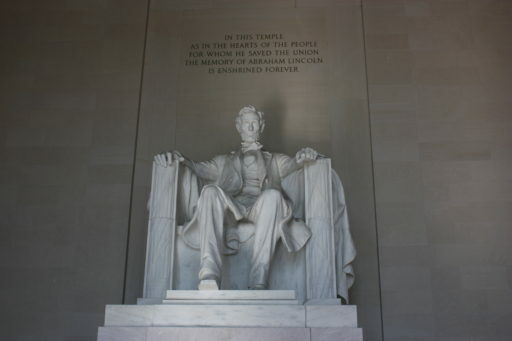 However, he deserves his place here on the mall even if for no other reason than because he was the pivotal voice that brought down institutionalized slavery. The nation we have now would not have existed in it’s current form without his often unpopular actions. 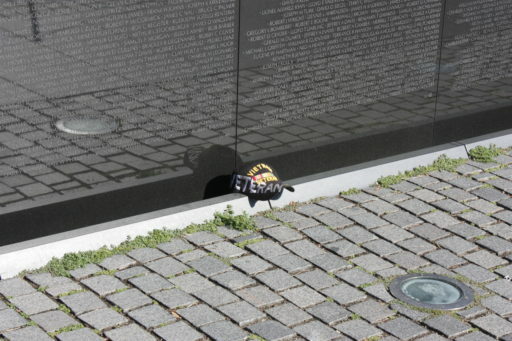 There are over 50,000 names of soldiers, sailors, airmen, and marines who died as a result of US involvement in Vietnam engraved on the memorial. Every one of those names represents the heartbreak of family and friends, and a stolen future. I think we would do well to remember this kind of human cost the next time we are tempted to send our future to fight on foreign fields. The veterans of this conflict are beginning to disappear, but I hope our cultural memory of their sacrifices will continue to echo through the minds of our leaders. When I look at the pictures, statues, and raw facts surrounding warfare, I am always struck at the youth of those called to die for a cause. 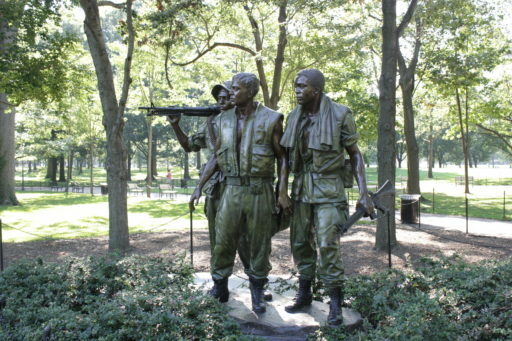 The soldiers depicted here in the statue at the Vietnam memorial were very young in the grand scheme of things. I doubt they understood the complex and often flawed reasoning that justified their deployment. This picture was taken from the west end of the national mall, behind the Lincoln Memorial. 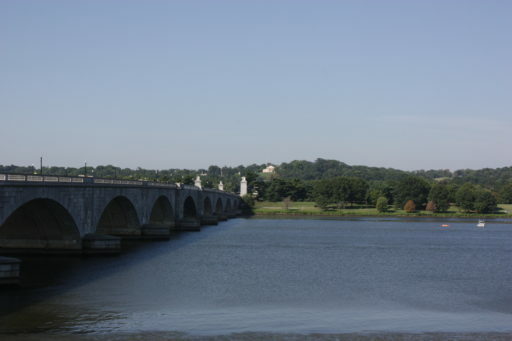 The dome seen across the bridge is Lee’s home at his Arlington plantation that was appropriated for use as a national cemetery. The northern border of the confederacy during the Civil War began here, just a short walk from the office where President Lincoln shaped the Union response. I commute from the territory of the former Confederacy to the Union capitol every day by bicycle on my way to work. 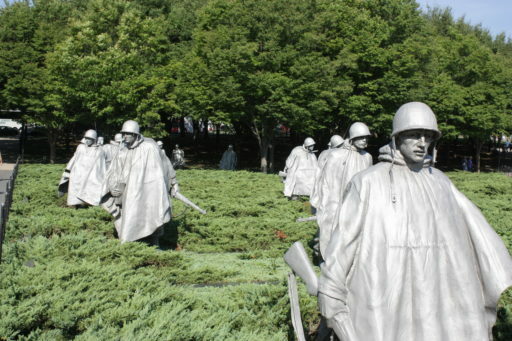 Statues in the Korean war memorial. Misery is in the face of every statue, and is reflected in the eyes of a great many combat veterans of the current fight. I doubt if anyone in congress or the senior levels of the executive branch really understands. What you don’t see are the layers of protection that prevent anyone from getting near this building. Just after I snapped this picture, the Secret Service came through and closed off the park and pushed tourists substantially farther back. We have placed our leadership in a bubble where they no longer see, feel, smell, and experience the things that make up a human existence. We coddle them and protect them from inconvenience. We provide them with luxury and deny them the privilege of a normal life. It shouldn’t be a surprise, then, that they make decisions that don’t make any sense to the rest of us unfortunate plebes.